Accelerating ERP/COTS Implementations | ERP the Right Way! 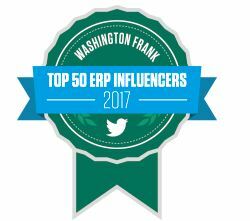 Accelerating ERP/COTS implementations have been an elusive goal of vendors, implementation partners, and customers. For five years I worked for the #2 business software maker focusing on accelerating implementations. During those five years I chased the dream and learned many lessons along the way. Following are some of the key lessons I would like to share with you. Notice anything missing? It’s interesting to note that these accelerators are software-focused. Not to say that the above tools/templates are not important, however, there are more important factors that can have a greater impact on accelerating implementations. Document your existing business processes. For effective collaboration with the implementation partner the customer needs to EDUCATE the implementation partner on their current business solution. A picture is worth a thousand words and accelerates knowledge transfer! Consultants that are successful at accelerating implementations are an elite group. These individuals are business solution experts that are both functional and technical. They have the ability to help the customer make both software and business decisions. At a minimum the consultant should understand how the ERP/COTS software supports an ENTIRE business process (Order to Cash), not just a specific business function (Expense Reporting). Need to have a clearly defined scope. This includes (a) what’s in scope, (b) what’s out of scope, (c) and who’s doing what. Just as important to scope definition is to define constraints and assumptions. Packaged software features in scope (product scope). This also includes restrictions on software features in scope (example: only five customer types will be included in the rapid implementation). Packaged software features out of scope (product scope). Implementation activities and party responsible (project scope). Not every project or customer is a candidate for a rapid implementation. Implementation partners and software providers should conduct an assessment to determine the FIT for a rapid implementation. One thing you can bet on is that there is no such thing as a STANDARD rapid implementation. Each instance is unique and requires an experienced implementation partner that understands rapid implementations. Good Article. I think you summarized the key considerations very well. I would also say that it is easier to do a few modules implementation in a rapid implementation rather than doing a end to end implementation. Pingback: SaaS ERP is not a push button solution | ERP the Right Way!